Let’s all start 2015 San Diego Comic Con with a classy party! 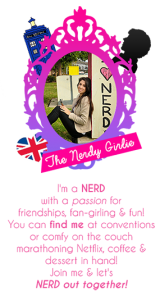 Being Geek Chic is a blog for stylish geeks, sophisticated nerds and people who enjoy the musings of a complete dork. Join us as we dream of driving the TARDIS, cuddle with our eBooks and test out an iPad sleeve. It’s written by Elizabeth Giorgi and a team of brilliant lady nerds. 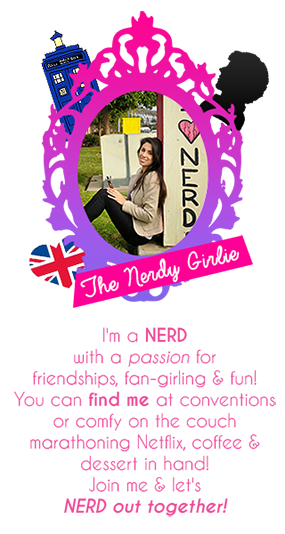 The Nerdy Girlie is a blog that aims to build a community with ALL nerds and to encourage and support other nerd girls! Our goal is to help EVERYONE have a fantastic San Diego Comic Con and introduce you to new fandoms!